The Delaware Bay, 39.1202° N, 75.2479° W, is an estuary and outlet from the Delaware River. 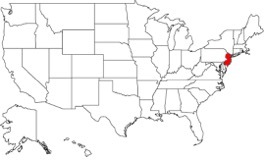 This USA bay is bordered by Delaware and New Jersey. The bay in total boasts 782 square miles (2031 km2) and is an important place for both rich and natural coastal flora and fauna. It’s known, in particular, for its concentrations of migratory Arctic shorebirds and its beaches where horseshoe crabs lay their eggs. In 2015, there were 95 million visitors to New Jersey, 12.5 million of those visitors went to Cape May County. Out of those 12.5 million, 24.8% visited Cape May County for nature-based tourism and 11.3% specifically for birding tourism. 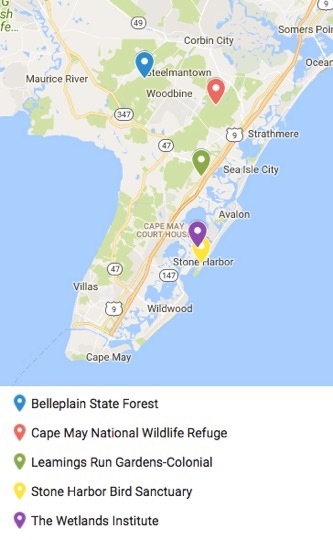 Currently, in Cape May County, there are 6 protected areas of all different sizes and classifications. 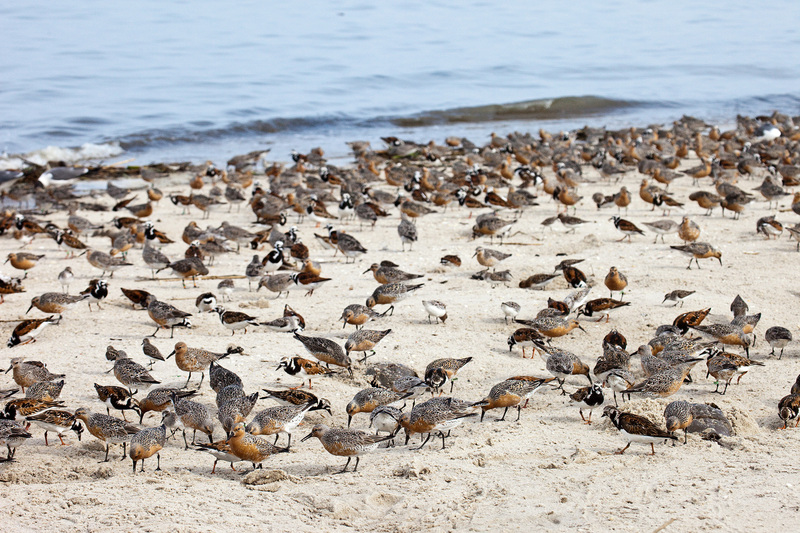 The Delaware bays beaches are crucial feeding grounds for many migratory shorebirds, including the endangered Red Knot subspecies, Calidris canutus rufa, and the Semipalmated Sandpiper, Calidris pusilla. On their spring migration to the Canadian Arctic, these birds rely on eating horseshoe crab eggs for fuel. The horseshoe crab, Limulidae Polyphemus, is a marine invertebrate “fossil” that’s existed for 450 million years. Traditionally, the species has been used by people as fishing bait and fertilizer. 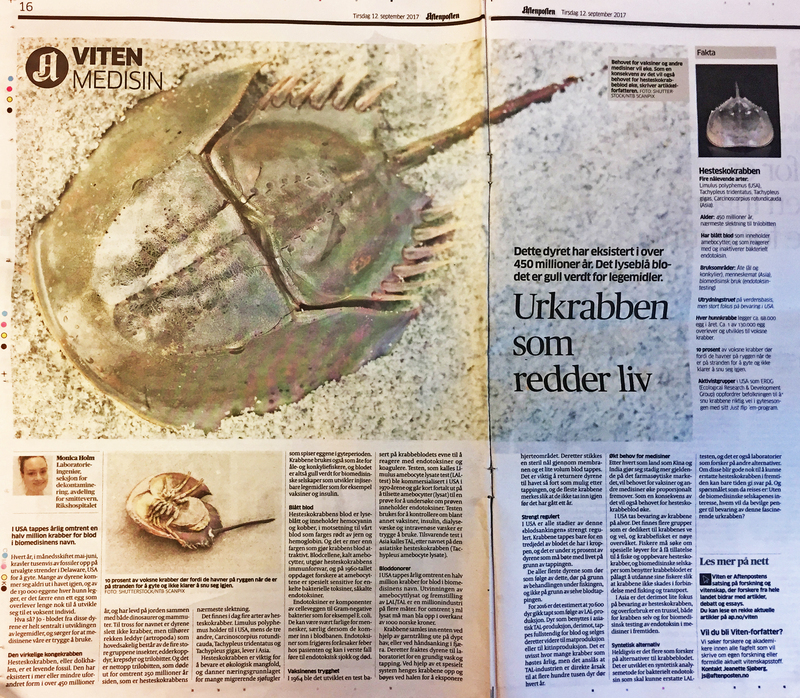 Norwegian newspaper “Aftenposten” writing about ancient crabs saving lives. 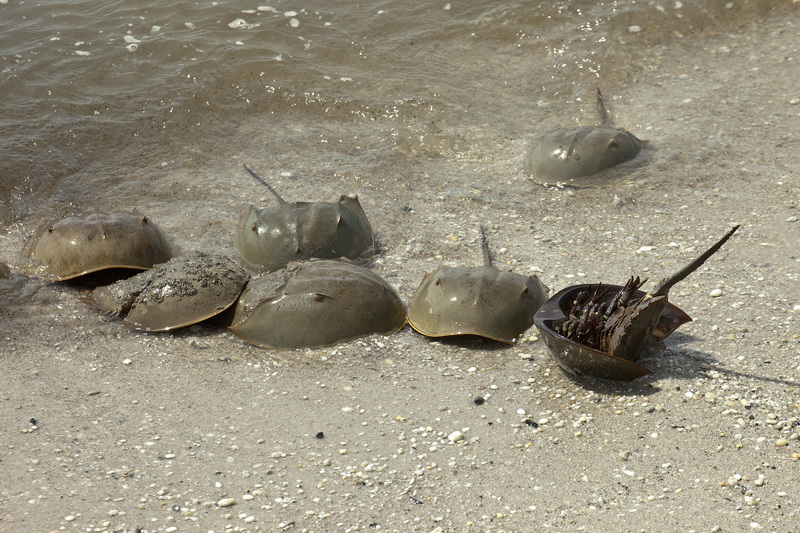 Today the harvest of horseshoe crabs is being abused. One of the main reasons is for their extremely valuable blood. The “blue blood” of horseshoe crabs contains a chemical called limulus amebocyte lysate (LAL). This chemical is used in the biomedical industry to test for the presence of endotoxins or bacteria in intravenous systems and medical equipment. Although the pharmaceutical industry is interested to keep their valuable resource alive and bring the crabs after milking one-third of their blood back to the sea, about 15% don’t survive this procedure. The populations of horseshoe crab were at their lowest when “blue blood” harvesting became prominent. Population data was not existent prior to 1990. Conserving this species and their habitats is crucial for the success of Cape May nature and birding-based tourism. Both nature-tourism and the well-being of the bay are inherently linked together. Human interaction, harvesting, and natural disasters (Hurricane Sandy) stress the population of this species. 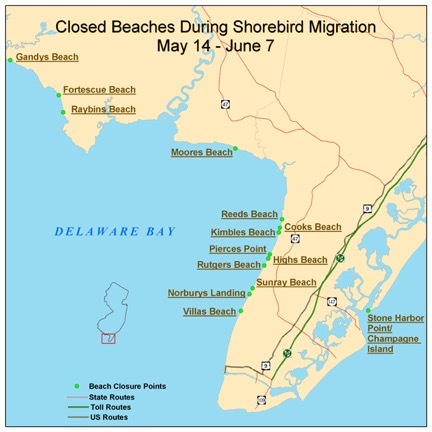 When the horseshoe crab population drops in this region, there is a direct link to lower shorebird populations. Supported by beach and historical tourism, the region brings in the most revenue May through August. In recent years, this season has nearly tripled in length because of birding; the 3.5-month time-span has grown into a 10 month season. 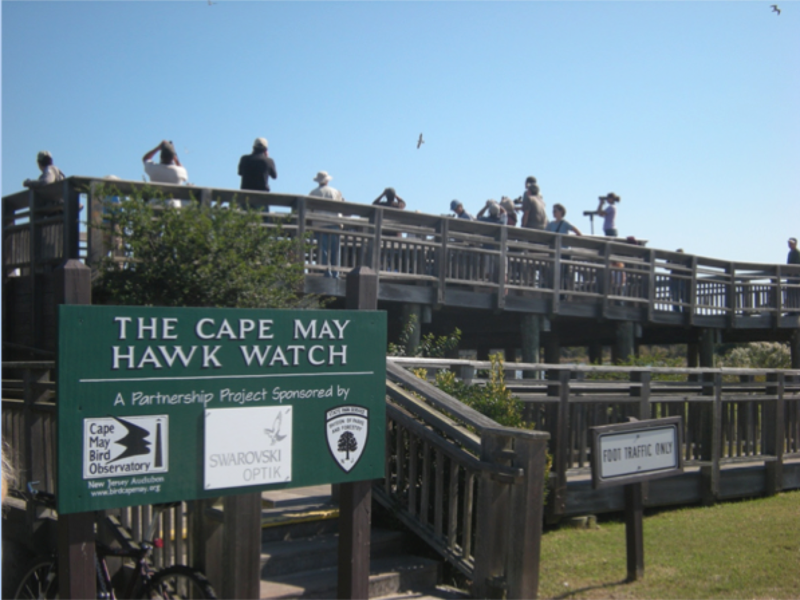 For example, last Fall, the Cape May Hawk Watch Observatory Tower brought in 25,000 people, both tourists and locals alike, and over 100,000 people for the year. The Fall months seem to be more active than the Spring months. Whether it be the numerous birding events, staging times of migratory shorebirds, or horseshoe crabs laying their eggs, birders are travelling from all around the world to see these phenomena. 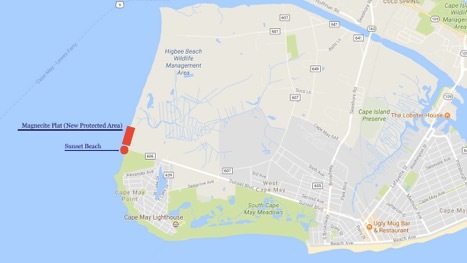 There were no bird-based focal points in the township prior to 1976, now, there is a re-brand happening for Cape May emphasizing the birds, the birding community, and conservation of the bay. Primarily financed through grants, the NJ Audubon in Cape May is researching shorebirds around the Delaware Bay. 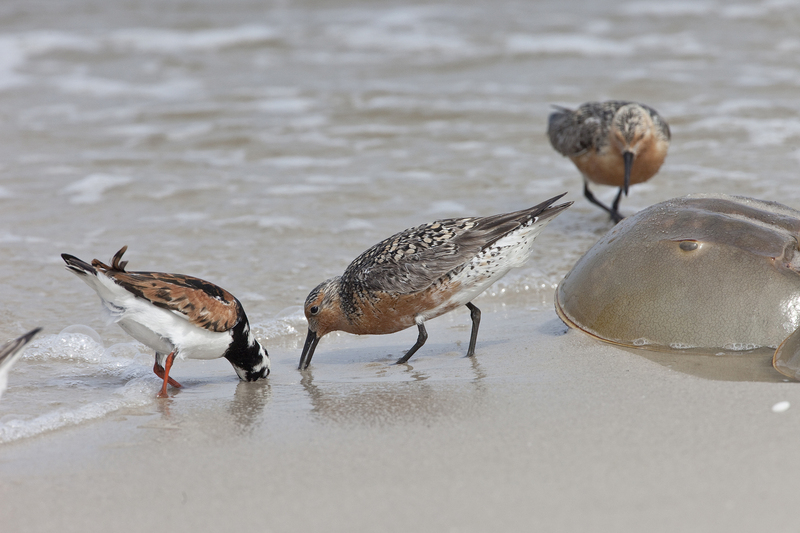 The New Jersey Department of Environmental Protection (NJDEP) has also invested its recourses to study shorebirds and has prohibited the harvest of horseshoe crabs and horseshoe crab eggs; this is the only location in the world that completely restricts their harvest. For 20 years, Conserve Wildlife and the Endangered and Nongame Species Program (ENSP) of the NJ Department of Environmental Protection Division have been researching how declining shorebird populations are directly linked to the Delaware Bay. Conserve Wildlife has also been restoring the bay since Hurricane Sandy to make a more suitable habitat for horseshoe crabs and shorebirds once again. The National Oceanic and Atmospheric Administration (NOAA) has granted resources to Stockton University, partnering with other organizations, to remove lost and abandoned crab traps in the bay. These traps are capturing and killing wildlife. Approximately 800 traps have been recovered thus far. 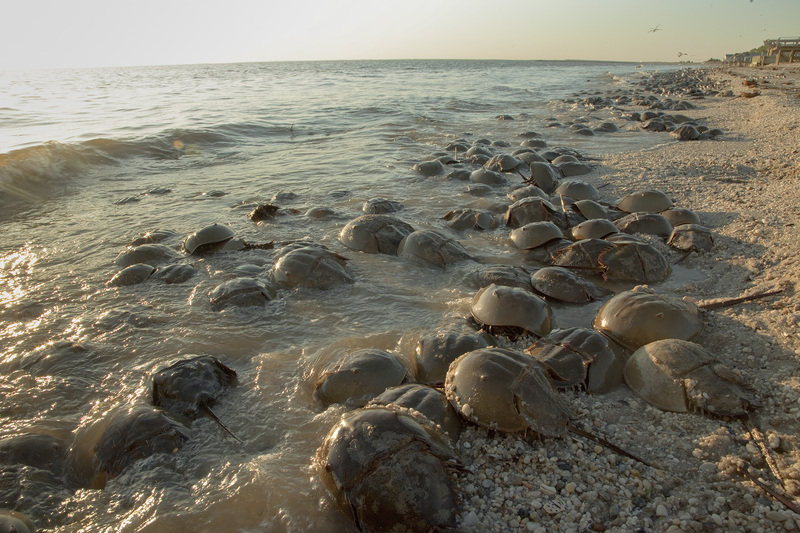 The NJ Wetlands Institute, NJ Fish & Wildlife, Conserve Wildlife NJ, and Celebrate the Delaware Bay, along with other organizations, are protecting and rescuing horseshoe crabs in an effort called reTurn the Favor to strengthen the population. The NJ Audubon is committed to NJ shorebirds. The organization is located 2.5 miles (4 kilometres) away from the Delaware Bay, in Cape May. The NJ Audubon offers classes, summer camps, and events. Most of their revenue is brought in during the summer months including May and September. These months are when local tourism is at its peak, through beach tourism, shopping, dining, cultural attractions, outdoor recreation, and birding tourism alike. In 2006, there was a study. Data showed that birding-based tourism and birding-based activities brought an extra $600 million into Cape May County. Whether it be people needing to eat in restaurants, people needing to sleep in hotels, or activity participation, birders are contributing ample amounts of money into the local economy through the economic leakage of their home regions. A portion of that income is going toward the conservation of the bay, toward protecting new areas, and toward research. reTurn the Favor is dedicated to educating the public on Delaware’s threatened horseshoe crab population. The director of the NJ Audubon Sanctuary leads an entire building devoted toward education. The initiative is focused on educating people on why conservation of the bay is crucial. They showcase the NJ Audubon’s research and are in coalition with the Delaware River Shed. The center also facilitates night-walks, harbour safaris, and summer camps for children. The World Series of Birding is a weekend-long event conducted by the NJ Audubon. This brings birders together from around the world to compete while bringing awareness to birding and educating the public. The competitor’s goal is to observe the most bird species within the few days. 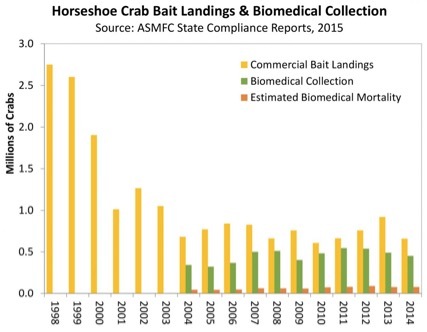 Continuing with intentions to educate, research, and help horseshoe crab populations, there is no sign of stopping conservation. Events are growing, more people are travelling to Cape May County, and the birding industry is taking off. 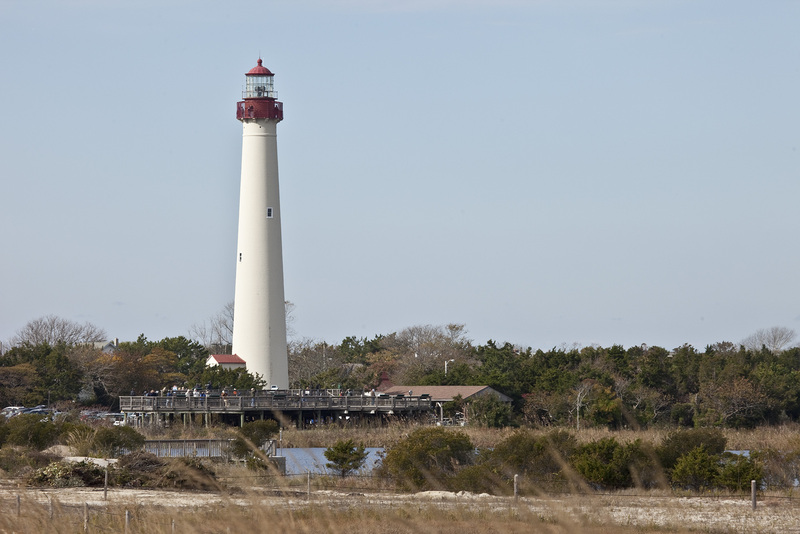 Cape May is among the top three birding destinations in the world. The cultural landscape of Cape May County is being supported by tourism. There are many NGO’s that are currently working toward the conservation of the Delaware Bay by involving tourism. Pennsylvania has a large hub of Cape May birding enthusiasts that support its conservation through donations and volunteerism. The Pennsylvania Delaware Valley Ornithological Club makes trips to Cape May on an annual basis. Right next to Sunset Beach, the states most southern point where many people congregate to watch the sunset, a new protected area being planned. Where there once was a war-time magnesite plant, officials are researching and developing the 125-acre (0.51 km2) plot of land as a bird haven right along the beach. The state is spending millions of dollars on making trails for birders and tourists with hides for observing seabirds without disturbing them. Currently, a pre-construction bird survey is taking place to see what species are currently here, to see what can be done to improve conditions, and to see what can be done to attract more birds. How could your example be transferred to other protected areas and how could your experience be shared with others? Other regions could benefit from integrating Cape May’s example. A few Asian countries are home to other subspecies of horseshoe crab; Carcinoscorpius rotundicauda, Tachypleus tridentatus and Tachypleus gigas are the most predominant in these areas. 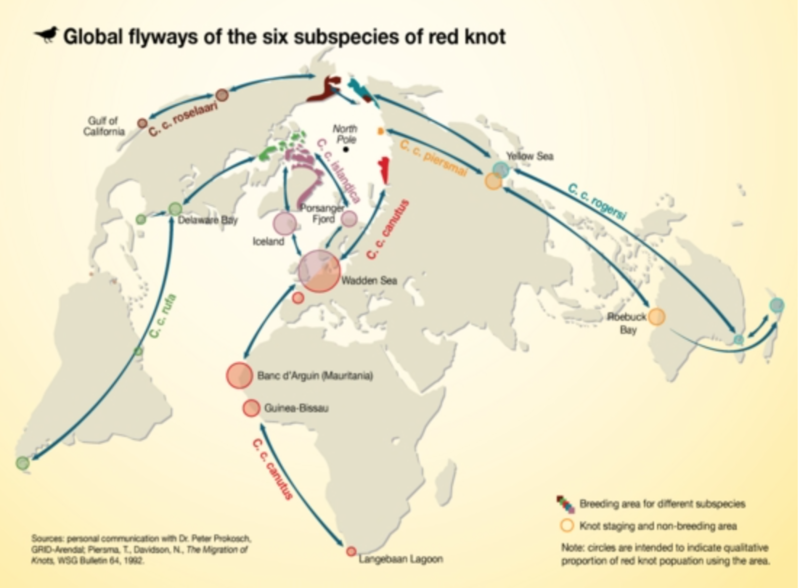 They exist here, but, their populations are being threatened by overharvesting as well. Developing partnership programs and inviting decision-makers to Cape May could provide an opportunity to help sustain this ancient species and other species that depend on them. Exposure to what’s going on is crucial; showing people how important the Delaware Bay is to birding and how powerful birding tourism is. If one does not know their importance or their interconnectivity, they are less likely to vote in their favour. Continuing to promote birding tourism and the bay would be a great way one could further strengthen the bond that links them. It all starts there. The bigger the audience, the more travellers will come. This will encourage the county and businesses to put their recourses toward conservation. Between, summer programs, tours, and fundraising events, night walks, bonfires, and weekend-long sporting events, Cape May County has made use of its local, unique, bayside beaches. Documentaries have been made about the importance of conserving the area; Birds of May and books have been written. Educating, while putting research practices into action, may be the most important part of linking Cape May’s tourism with conservation. Between the resources made accessible, keeping people off the beaches while the horseshoe crabs are laying their eggs, and keeping a close eye on the ecosystem, there has been an example made that other protected areas can integrate.